Can Countries Cut Carbon Emissions Without Hurting Economic Growth? “There’s little doubt: Cutting greenhouse gases will be costly. But that leads to two big questions. First, how costly? And second, can nations afford it? As policy makers around the world take action to avoid a predicted climate catastrophe, the debate is turning to the costs of reducing carbon-dioxide emissions. Energy-efficiency measures are often pricey, and alternative energy sources are more expensive than the fossil fuels they replace. A steep price on carbon emissions will ripple through the economy. Does that mean a serious effort to tackle global warming is incompatible with economic growth? Or can we make significant cuts in greenhouse-gas emissions without causing serious damage to the economy? We put the question to a pair of experts. 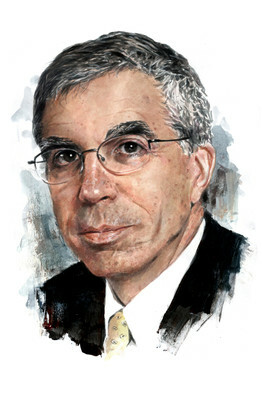 Robert Stavins, a professor of business and government at Harvard University and director of Harvard’s environmental economics program, says the answer to the second question is yes: Making the necessary cuts need cause little more than a blip in world-wide growth if smart policies are used. Steven Hayward, a fellow at the American Enterprise Institute for Public Policy Research, says no: Energy use — and the carbon dioxide it emits — is so central to the world’s economy that major cuts can’t be made without significant damage. Of course, the answers can depend in large part on how “significant cuts” and “serious damage” are defined. Many scientists, the European Parliament and the Waxman-Markey climate legislation approved by the U.S. House of Representatives have set a goal of cutting carbon emissions about 80% by 2050, so that was picked as constituting significant cuts. Understandably, the editors wanted to highlight differences between us in order to develop a concise and clear debate. I find it interesting, however, that in an audio interview/debate at the Wall Street Journal web site (Podcast: Crafting a Global Policy), which was by nature more free-wheeling and less limited by space constraints, there is a remarkable amount of agreement between Mr. Hayward and me on a number of key issues. For now, in today’s post — liberated from space constraints — I want to expand a bit on my WSJ essay, in which I responded, yes, the transition can be gradual and affordable. Although “The Day After Tomorrow,” the 2004 disaster epic about the greenhouse effect’s apocalyptic consequences, had less scientific basis than “The Wizard of Oz,” scientific reality is disturbing enough. Man-made emissions of greenhouse gases — including carbon dioxide (CO2) from the combustion of fossil fuels — are very likely to change the earth’s climate in ways that most people will regret. World energy trends are unsustainable — environmentally, economically, and socially. The global recession has slowed emissions growth, but the world is on a path to more than double global atmospheric greenhouse gas (GHG) concentrations to 1,000 parts per million (ppm) in CO2-equivalent terms by the end of the century, resulting in an average global temperature increase of 6 degrees Centigrade. But increased temperatures — which might well be welcome in some places — are only part of the story. The most important consequences of climate change will be changes in precipitation (causing, for example, 75 to 250 million people in Africa to be exposed to increased water stress due to climate change by 2020, with rain-fed agriculture yields falling by as much as 50%), disappearance of glaciers throughout the world (and decreased snowpack in areas ranging from the western United States to Asia), droughts in mid to low latitudes (with severe effects in Australia), decreased productivity of cereal crops (at lower latitudes, especially in tropical regions), increased sea level, loss of islands and 30% of global coastal wetlands, increased flooding (in all parts of the world, but greatest in Asia), greater storm frequency and intensity (both typhoons and hurricanes), risk of massive species extinction (20 to 30% of all species, including massive coral mortality), and significant spread of infectious disease. On the other hand, climate change will also bring some health benefits to temperate areas, such as fewer deaths from cold exposure. But such benefits will be greatly outweighed by negative health effects of rising temperatures (cardo-respiratory, diarrhoeal, and infectious diseases, and increased morbidity and mortality from heat waves, floods, and droughts), especially in developing countries. These impacts will have severe economic, social, and political consequences for countries worldwide, ranging from malnutrition and mass migration (hundreds of millions of people displaced) to national security threats. Bottom-line, comprehensive estimates of economic impacts of unrestrained climate change vary, with most falling in the range of 2 to 5% of world GDP per year by the middle of the century. The best estimates of marginal damages of emissions (again, by mid-century) are in the range of $100 to $175 per ton of CO2 (in today’s dollars). The world is already experiencing the adverse effects of increasing concentrations of GHGs in the atmosphere, with concentrations already about 60% above pre-industrial levels, greatly exceeding the natural range over the past 600,000 years. Just one example: the Greenland ice sheet has been losing mass at a rate of 179 billion tons per year since 2003. To have a coin toss’s 50-50 chance of keeping temperature increases below 2 degrees Centigrade — the level at which the worst consequences of climate change can be avoided — it will be necessary to stabilize atmospheric concentrations at 450 ppm. (Even this would result in significant sea-level rise, species loss, and increased frequency of extreme weather, according to the U.N. Intergovernmental Panel on Climate Change.) Consistent with the 450 ppm goal is a long-range target of cutting U.S. emissions 80% below 2005 levels by 2050, which happens to be the target of legislation passed earlier this year by the U.S. House of Representatives, H.R. 2454, the so-called Waxman-Markey bill. Now, to the heart of the WSJ question: will a serious effort to tackle global warming is incompatible with economic growth? My response was and is that the nations of the world do not have to wreck their economies to avert the crisis. If appropriate and intelligent policies are employed, the job can be done at reasonable and acceptable cost. Critics argue that the Waxman-Markey legislation — to cut U.S. emissions 80% below 2005 levels by 2050 — will mean big, disruptive changes to our infrastructure and untold economic damage. But they make a couple of basic errors. For one thing, they seem to think we’d have to replace the entire infrastructure quickly, paying trillions of dollars to shift to cleaner power. They also seem to assume that we have to choose between much more expensive energy and no energy at all. The move to greener power doesn’t have to be completed immediately, and it doesn’t have to be painful. The right transition plan will increase consumers’ bills gradually and modestly, and allow companies to make gradual, well-timed moves. How would this work? One way is via a combination of national and multinational cap-and-trade systems. Companies around the world would be issued rights by their governments to produce carbon, which they could buy and sell on an open market. If they wanted to produce more carbon, they could buy another company’s rights. If they produced less carbon than they needed, they could sell their extra rights. What’s more, companies could earn more rights by creating appropriate “offsets” that mitigated their carbon use, such as planting forests. Nations could add carbon taxes to the mix. The effect would be to send price signals through the market — making use of less carbon-intensive fuels more cost-competitive, providing incentives for energy efficiency and stimulating climate-friendly technological change, such as methods of capturing and storing carbon, as well as safe nuclear power. True, in the short term changing the energy mix will come at some cost, but this will hardly stop economic growth. As economies have grown and matured, they have become more adept at squeezing more economic activity out of each unit of energy they generate and consume. Consider this: From 1990 to 2007, while world emissions rose 38%, world economic growth soared 75% — emissions per unit of economic activity fell by more than 20%. Critics argue we can’t possibly increase efficiency enough to hit the 80% goal. In a very limited sense, that’s true. Efficiency improvements alone, like the ones that propelled us forward in the past, won’t get us where we need to go by 2050. But this plan doesn’t rely solely on boosting efficiency. It brings together a host of other changes, such as moving toward greener power sources. What’s more, making gradual changes means we don’t have to scrap still-productive power plants, but rather begin to move new investment in the right direction. In the end, we would be delaying 2050’s expected economic output by no more than a few months. And bear in mind that previous environmental actions, such as attacking smog-forming air pollution and cutting acid rain, have consistently turned out to be much cheaper than predicted. Critics are wary of raising energy prices, arguing that no nations have grown wealthy with expensive power. But historically, it is the scarcity and cost of energy that have prompted technological changes as well as the use of new forms of power. What’s more, critics challenge the price estimates the experts have set out. They say that the predictions depend on extensive — and unrealistic — cooperation among nations. In particular, they say, developing nations won’t sign onto plans for curbing emissions, for fear of losing their economic momentum. Indeed, we do need a sensible international arrangement in place to achieve low costs, and the economic pain will be much greater if we don’t set up an international carbon market. But it can be done. Many nations have already initiated such emissions-control policies. And the world can be brought together in a meaningful, long-term arrangement that is scientifically sound, economically rational and politically pragmatic. Because the benefits of any single nation taking action to address global climate change are spread worldwide, unlike the costs, it may never be in the self-interest of a single country to take unilateral action. This is the nature of a global commons problem. For this reason, international cooperation is required; this is the point of climate negotiations among some 190 countries, which will continue in Copenhagen this December. It is also the motivation for the U.S. administration’s Major Economies Forum, which brings together the 17 largest economies, accounting for 80% of GHG emissions. Europe has already put significant climate policy in place, and Australia, New Zealand, and Japan are moving to have their policies in place within a year. But without evidence of serious action by the U.S., there will be no meaningful future international agreement, and certainly not one that includes the key, rapidly-growing developing countries — Brazil, China, India, Indonesia, Mexico, South Africa, and South Korea. U.S. policy developments can and should move in parallel with international negotiations. Understandably, developing countries have a very different perspective than the currently industrialized world regarding climate policy. After all, the vast majority of the accumulated stock of man-made greenhouse gases in the atmosphere is due to economic activity in the richer countries over the past century and more. But the share of global emissions attributable to developing countries is significant and growing rapidly. China surpassed the United States as the world’s largest CO2 emitter in 2006. And developing countries are likely to account for more than half of global emissions by the year 2020, if not before. China, Korea, and others are beginning to take action. Most important, all of the key countries of the world can be brought together in a meaningful and pragmatic arrangement. Such a post-Kyoto international agreement can expand the scope of action to include key developing countries, but with targets linked via an appropriate formula with economic growth, so that emissions can be reduced around the world, while emissions (and job) leakage from the industrialized to the developing world is avoided, and economic growth continues in all parts of the world. The longer we put off serious action, the more aggressive our future efforts will need to be, as greenhouse gases and carbon-spewing capital assets continue to accumulate. Plants built today will determine emissions for a generation. In the steel sector — where plant lifetimes typically exceed 25 years — more than half of all plants in the world are now less than 10 years old. The picture is similar in the cement industry, as well as more broadly throughout the economy. For every year of delay before moving to a sustainable emissions path, the global cost of taking necessary actions increases by hundreds of billions of dollars. Critics argue that we can afford to wait because the world of tomorrow will be wealthier and better able to absorb the costs. But acting sooner, such as by adopting the emission caps proposed in the U.S. House legislation, will lower the ultimate costs of achieving the target, because there will be more time allowed for gradual transition — which is what keeps costs down. Perhaps most important, the costs of failing to take action — the damages of climate change — would be substantially greater. Getting serious about climate change won’t be free, and it won’t be easy. But if state-of-the-science predictions about the consequences of continued delay are correct, the time has come for sensible and meaningful action. Author Robert StavinsPosted on September 24, 2009 January 20, 2017 Categories Climate Change Policy, Energy Economics, Energy Policy, Environmental Economics, Environmental PolicyTags American Enterprise Institute, Australia, benefit-cost analysis, Brazil, cap-and-trade, carbon leakage, China, COP-15, Copenhagen, cost-effectiveness, distributional equity, economic growth, environmental politics, European Union, global climate policy, India, Indonesia, linkage of cap-and-trade systems, Major Economies Forum, market-based environmental policies, Mexico, National Commission on Energy Policy, Obama Administration, revenue-neutral taxes, South Africa, South Korea, U.S. Climate Action Partnership, U.S. Congressional Budget Office, U.S. Energy Information Administration, U.S. House of Representatives, UN Intergovernmental Panel on Climate Change (IPCC), Wall Street Journal, Waxman-Markey legislation3 Comments on Can Countries Cut Carbon Emissions Without Hurting Economic Growth? The potential impacts of proposed U.S. climate policies on the competitiveness of U.S. industries is a major political issue, and it was one of the key issues in the Energy and Commerce Committee of the House of Representatives in the design of Henry Waxman and Edward Markey’s H.R. 2454 (the American Clean Energy and Security Act of 2009). In the floor debate that will soon take place as the full House considers the bill, it will be an important issue. It promises to be an equally important topic when the Senate takes up its own climate legislation, although the debate in that body on this issue will likely be quite different. The ultimate answer to the question of how best to address concerns about international competitiveness is to bring all countries – both the industrialized nations and the developing world’s large, rapidly-growing economies (China, India, Brazil, Korea, Mexico, South Africa, and Indonesia) – into a meaningful (post-Kyoto) international climate change agreement (a topic on which I’ve spent much time over the past several years). But – for the most part — that long-term objective is outside of the reach of the domestic policy of any single nation, even the United States. Can Domestic Climate Policy Address Competitiveness Concerns? A range of approaches has been considered for implementing sound, domestic climate policy while seeking to “level the economic playing field” with other countries. While no approach is without its flaws (as I describe below), the approach taken in the Waxman-Markey legislation is sensible and pragmatic: in the short term, output-based updating allocations of allowances are employed for a few energy-intensive, trade-sensitive sectors; and in the long term, the President is given the option to put in place (under specific, stringent conditions) import-allowance-requirements in selected cases. In order to explain my reasoning for coming to this conclusion, let’s back up for a moment and reflect on the reasons for the high level of political attention and receptiveness in the United States toward employing a cap-and-trade system nationally to address emissions of greenhouse gases. It is because of the significant economic and political advantages of cap-and-trade systems to address carbon dioxide and other greenhouse gas emissions that most (but not all) attention by policy makers has been focused on this policy approach. First, it provides a cost-effective means of achieving meaningful reductions in emissions over relevant time horizons. Second, it offers an easy means of compensating for the inevitably unequal burdens imposed by virtually any climate policy. Third, it is less likely than alternative approaches (such as a carbon tax) to be degraded – in terms of environmental performance and cost-effectiveness – by political forces. Fourth, it has a history of successful adoption and implementation over two decades. And fifth, it provides a straightforward means to link and harmonize with other countries’ climate policies. The Waxman-Markey bill, H.R. 2454, would establish such a U.S. cap-and-trade system to reduce emissions that contribute to global climate change. The bill would put a declining cap on emissions and create a corresponding number of emission permits. Regulated firms could trade these permits at a price determined by the market – creating powerful incentives to reduce emissions cost-effectively. But imposing a price (cost) on carbon in the United States at a time when some other countries (in the developing world) are not taking comparable actions raises concerns about negative impacts on the competitiveness of U.S. industry, particularly in energy-intensive, trade-sensitive sectors. This heightens worries about possible job losses, a particularly troubling concern when the United States find itself in the worst global recession in a generation. The environmental side of the same coin is “carbon leakage.” Again, imposing a cost on the production of carbon-intensive goods and services shifts comparative advantage in the production of those same goods and services in the direction of countries not taking on such costs. Also, reduced demand in the United States for carbon-intensive fuels such as coal can be expected to reduce worldwide demand enough that the world price of coal would fall, thereby making it more attractive for use in countries that are not participating in a meaningful international climate agreement (or otherwise taking significant domestic climate actions). Both routes can result in a shift of carbon-intensive production to countries without climate controls, and therefore an increase in their CO2 emissions. This is carbon leakage, which reduces the environmental benefits of mitigating emissions and reduces cost-effectiveness of any actions (properly measured in terms of net changes in CO2 atmospheric concentrations). Given that the United States, the European Union, and Japan are net importers of embodied CO2, while China and India are net exporters, the environmental – as well as the economic – impacts of carbon leakage are a natural concern of lawmakers. Despite the high levels of attention that international competitiveness therefore receives in debates about domestic climate policies, economic research has consistently found that the actual competitiveness impacts of proposed domestic climate policies would not — in quantitative terms — constitute a major economy-wide economic issue for the United States, partly because differences in other costs of production (including labor and energy costs, without accounting for carbon constraints) across countries swamp differences in costs due to environmental policies, including prospective climate policies. On the other hand, this is a real issue for some specific sectors, in particular, energy-intensive industries subject to international competition, such as aluminum, cement, fossil fuels, glass, iron and steel, and paper. More importantly, it is in any event a major (economy-wide) political issue. So, it needs to be addressed in any domestic climate policy which is to be both meaningful and politically pragmatic. How About Free Allowance Allocations? The approach frequently proposed by policy makers and the approach utilized in the European Union for its Emission Trading Scheme, and discussed in a number of other countries for their planned cap-and-trade programs is generous and free allocation of allowances to specific sectors and companies. This makes the receiving companies happy, but has no effect on their international competitiveness. This is because such a free grant of allowances is no different than cash, that is, a fixed subsidy. The allowances can be sold by the receiving companies, are as good as cash, and represent a lump-sum transfer from the government, not tied to carbon abatement efforts or production (and hence, in the language of economics, are infra-marginal subsidies rather than marginal incentives). Since the subsidy has no effect on the company’s marginal cost of production (its supply function), it has no effect on international competitiveness. The company will continue to find it as challenging as it did without the subsidy to produce cement, steel, or whatever at a price that can compete with companies located in countries without climate policies (apart from liquidity effects, which are minor in most cases). And the domestic company will have the same incentives as previously to locate its next production facility in a country without a climate policy. With proper design, allowance allocations can be used effectively to address leakage and competitiveness. If the free allocation of allowances is tied to the company’s production level, then it does affect marginal production costs, and therefore does affect competitiveness. Such a “home rebate” can thereby reduce leakage. This is, in fact, the approach taken in the Waxman-Markey legislation, and it is a potentially effective means to address concerns about international competitiveness for a select set of energy-intensive trade-sensitive sectors. There are, however, some legitimate concerns about this approach of linking annual allowance allocations with production levels, as I wrote in my previous post, “The Wonderful Politics of Cap-and-Trade: A Closer Look at Waxman-Markey.” Such output-based updating allocations can provide perverse incentives and thereby drive up the costs of achieving a cap. This is because an output-based updating allocation is essentially a production subsidy. This distorts firms’ pricing and production decisions in ways that can increase the cost of meeting an emissions target. Think of it this way. On the one hand, the cap-and-trade system is (sensibly) increasing the cost of using carbon-intensive fuels and emitting CO2 into the atmosphere. An aluminum producer, for example, is therefore paying more for the (fossil-fuel generated) electricity it uses, driving up its cost of production. At the same time, the government hands a subsidy to the company for each unit of aluminum it produces, working at cross-purposes with the energy-pricing incentive, and thereby driving up the aggregate social costs of achieving the cap. In addition, these home rebates do not distinguish between competition from countries with and without domestic climate policies. So, there are problems with output-based updating allocations, but the key question in the real world of legislative design is whether better approaches are available? The answer – in my view – is that there are several other available approaches, but they are not any better; and indeed, they appear to be significantly worse. One alternative approach is an import allowance requirement, whereby imports of highly carbon-intensive goods (in terms of their manufacture) must hold allowances for the U.S. cap-and-trade system, mirroring requirements on U.S. sources, if those imports come from countries which have not taken comparable climate policy actions. Note that this approach – which is referred to as a border adjustment, and is an implicit border tax – differentiates according to the country of origin. In principle, this approach can maintain a level playing-field between imports and domestic production, reduce leakage, and possibly help induce key developing countries to take domestic action to avoid the implicit border tax on their products. The import allowance requirement approach has its own problems, however. First, it focuses exclusively on imports into the United States, and has no effect on the competitiveness of U.S. exports. Second, it may not be compliant with World Trade Organization (WTO) rules, because it would discriminate among trading nations (I’ll leave that issue for trade economists and trade lawyers to analyze and debate). Despite these three problems with the import-allowance-requirement approach, note that it was a key part of the Lieberman-Warner Climate Security Act in the U.S. Senate in 2008, and may re-appear when serious debate commences in the Senate on climate legislation later this year. Also, it should be noted that this approach of import-allowance-requirements is included as a long-term backstop in Waxman-Markey if the President determines by 2022 that the output-based allocation mechanism is insufficient for some of the energy-intensive trade-sensitive sectors (and if a number of stringent conditions are met; see the “International Reserve Allowance Program” in the bill). Another potential approach is a border rebate for exports to level the playing field abroad, whereby the government rebates the value of emissions embodied in exports. Imports, however, would retain their competitive advantage at home, and there are problems with WTO compliance. Finally, there is full boarder adjustment, meaning a border (import) tax plus a border (export) subsidy. Here there are questions not only about consistency with international trade law, but also concerns about feasibility. In some cases, there are tremendous challenges of calculating the embodied emissions of foreign products, and more generally, there are difficulties of defining and enforcing reliable rules of origin. Thus, none of these approaches are ideal, not home rebates as in Waxman-Markey, nor implicit border taxes on exports as in Lieberman-Warner, nor border rebates, nor full border adjustments. As I said at the outset, the only real solution to the international competitiveness issue in the long term is to bring non-participating countries within an international climate regime in meaningful ways. (On this, please see the work of the Harvard Project on International Climate Agreements.) But that solution is fundamentally outside of the scope of the domestic policy action of any individual nation, including the United States. So, among the feasible set of options to address international competitiveness concerns – if only imperfectly and at some cost – which is best? The two live political options appear to be the output-based updating allocation mechanism in the Waxman-Markey legislation and the import allowance requirement, typically associated with the former Lieberman-Warner bill. At this time, meaning in the short term, I would be more worried about the potential damage to the international trade regime that import allowance requirements could foster than about the incremental social costs that an output-based updating allocation mechanism will create. This is a political problem without a perfect solution (other than bringing all key countries into a meaningful international climate agreement). For now, the domestic political process has done a credible job of patching together a set of interim solutions. Among the range of possible approaches of trying to level the international economic playing field, none is without its flaws, but the approach taken in the Waxman-Markey legislation appears best. Subject to possible improvements on the House floor or in the Senate, the Waxman-Markey approach of combining output-based updating allocations in the short term for select sectors with the option in the long term of a Presidential determination (under stringent conditions) for import allowance requirements for specific countries and sectors seems both sensible and pragmatic. A Broader Question: Should the U.S. Enact a Domestic Climate Policy without a New, Sound International Climate Agreement in Place? Stepping back from the specific policy design question, the broader argument has been made (indeed until a few years ago I was among those making it) that there should be no serious movement on a U.S. domestic climate policy until a meaningful and sensible (post-Kyoto) international agreement has been negotiated and ratified. It is natural for questions to be raised about the very notion of the U.S. adopting a policy to help address a global problem. The environmental benefits of any single nation’s reductions in greenhouse gas emissions are spread worldwide, unlike the costs. This creates the possibility that some countries will want to “free ride” on the efforts of others. It’s for this very reason that international cooperation is required. That is the why the U.S. is now vigorously engaged in international negotiations, and the credibility of the U.S. as a participant, let alone as a leader, in shaping the international regime is dependent upon our demonstrated willingness to take actions at home. Europe has already put its climate policy in place, and Australia, New Zealand, and Japan are moving to have their policies in place within a year. If the United States is to play a leadership role in international negotiations for a sensible post-Kyoto international climate regime, the country must begin to move towards an effective domestic policy – with legislation that is timed and structured to coordinate with the emerging post-Kyoto climate regime. Without evidence of serious action by the U.S., there will be no meaningful international agreement, and certainly not one that includes the key, rapidly-growing developing countries. U.S. policy developments can and should move in parallel with international negotiations. So, like any legislation, the Waxman-Markey bill has its share of flaws. But it represents a solid foundation for a domestic climate policy that can help place the United States where it ought to be – in a position of international leadership to develop a global climate agreement that is scientifically sound, economically rational, and politically acceptable to the key nations of the world.